One of the most effective ways to help children become writers is to show them through your own example that writing has useful purposes. Using numbers and letters in a cryptogram, your child can decode WordGirl's secret message and create new messages. Markers, crayons, pens, pencils, paints, paper, glue, scissors and a stapler: with these materials, kids can create. Your child can create a realistic or fantastical self-portrait using simple art materials. In this online game, your child can watch favorite word videos or select favorite words to create and send messages to family and friends. Your child can get creative by picking the who, what, where, when, why, and how to create a story about a crazy commercial, a funky fairy tale, or a breaking news story. Your child can practice following directions, learn new vocabulary, and develop critical thinking skills by using clues to find hidden treasure in this fun clue hunt game. When you are writing stories with your child, you can use favorite books as templates. When you are writing stories with your child, you can use favorite books as templates. Don't be afraid to borrow the structure of a beloved picture book and help your child think up ideas for her own version. For example, if your child loves "If You Give a Mouse a Cookie," have her fill in the blanks (If You Give a _____ a _______…). Take a favorite fairy tale and write a new ending, or retell a tale from a different point of view. For instance, what does the story of the Three Pigs look like from the Wolf's perspective? Arthur and his friends each have their own printable trading cards. Print these cards to learn more about each character including their favorite jokes, colors, and career goals. You can even use the characters to write your own Arthur story. You can build your child's self-esteem and vocabulary by giving her specific compliments with words like extraordinary, outstanding, and superb! It's time to read with WordGirl! Your child can make story choices and learn new vocabulary as stories about Pretty Princess, WordGirl, and Becky Botsford are read aloud. 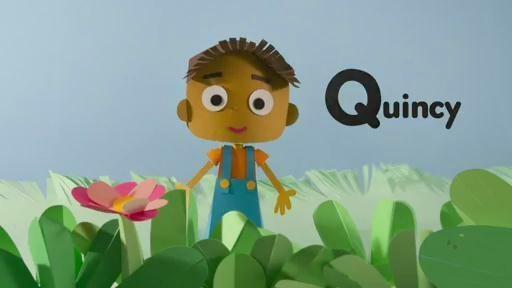 Learn about the letter Q in a story and song about Quincy. 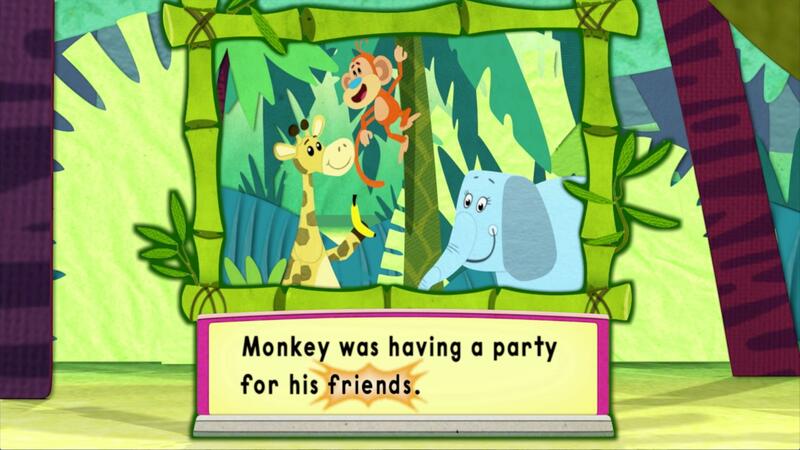 Read along with the Super Why team as they realize two friends have missing items.